Currently is the time that landscape photographers run around New England to capture the beauty of Fall colors. 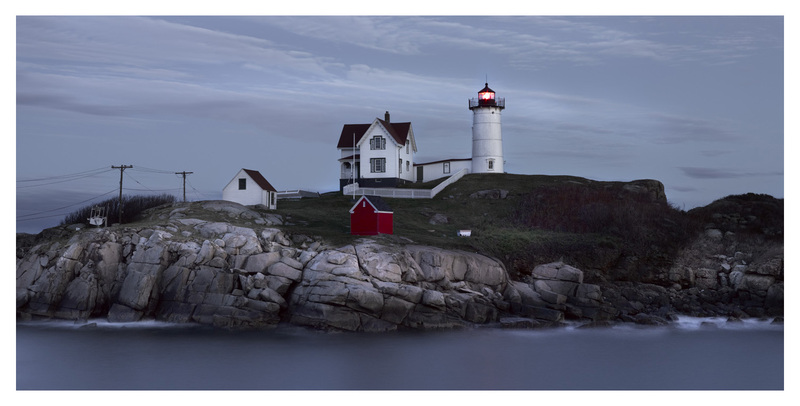 While preferring a German, contemporary style of photography I sometimes find myself in front of a fishing boat or lighthouse and take what someone may describe as a typical New England landscape photo. I look at a scene and it reminds me of a puzzle cover, calendar shot, or postcard. The trick to capture that scene well is by using a tripod and a long exposure. My camera is limited to 30 seconds of maximum exposure time but that is long enough to flatten the water. It gives the photo an extra dreamy mood. On a bright day a neutral density filter can help to deal with the long exposure in full daylight. 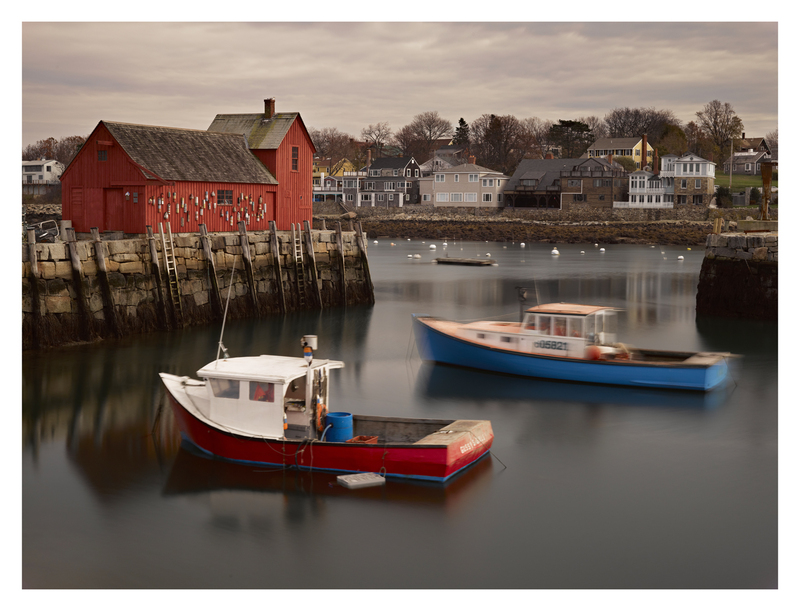 The first is a straight forward shot of the Rockport, MA harbor. Rockport is a tiny fishing town north of Boston. A favorite tourist destination. The whole place is so picturesque that Hollywood turned it into the Alaskan town Sitka for the Sandra Bullock movie “The proposal”. Point your camera at the dark red shack, keep the shutter open for a long time and there you go. Rockport postcard.